Ever reach for the remote and the batteries are DEAD? Happens to me all the time, especially since we have the Roku with the headphones that attach to the remote. The batteries die constantly! I don't always have fresh batteries, but now, what I do have is the reusable Batteroo Boost! Save Energy! Each Year Billions of Batteries Thrown Away Have 80% Energy Left Inside Them! Extend Battery Life. Use Fewer Batteries, Save Money! Convenient! Fewer Trips to the Store for Battery Purchases. Save Time! Batteroo Boost is a sleeve you put on your dead batteries, then put the batteries back in the unit you are trying to use, and it should extend the life of said dead batteries. My experience was, it worked! So far, 3 days on so-called dead batteries! I am happy. 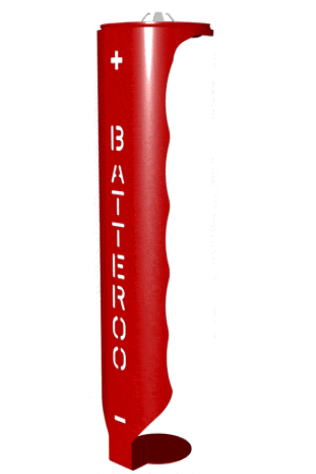 Batteroo Boost is available in AA AAA C and D sizes for about $9.99 a package. 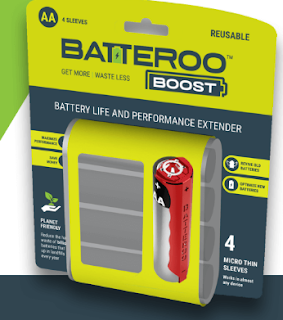 You can purchase Batteroo Boost here!